Dorothy Rowe, the internationally renowned psychologist, brings 25 years of experience to this excellent tape. She shows how every one of us can take charge of our lives and find hope, happiness and freedom. Depression is one of the most debilitating and imprisoning experiences - and it is on the increase. Isolation and fear take over when we realize there is a serious discrepancy between what we thought our life to be and what it actually is. This tape shows you how to save yourself from despair, isolation, helplessness. 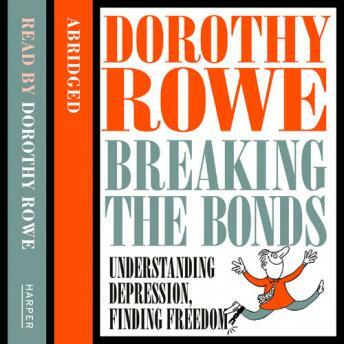 Dorothy Rowe shows you how to come to a level of understanding and self-acceptance which will finally and for ever allow you to break free of the bonds of depression.